July 2, 2014 by David Shields. Average Reading Time: about 5 minutes. 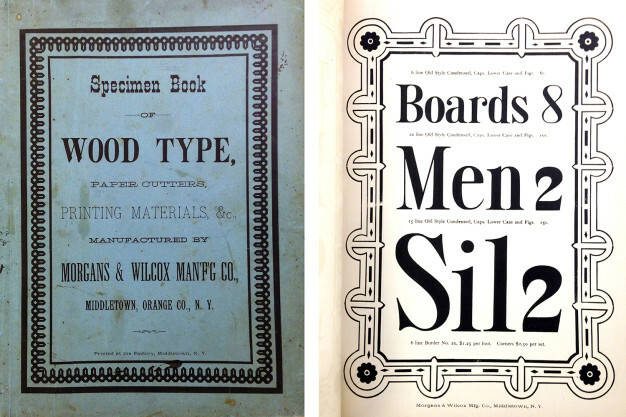 William Thomas Morgans, was one of the dominate producers and innovators of wood type in American in the late 1870s, competing successfully against William Page, Vanderburgh, Wells & Co and Charles Tubbs. He was born July 2, 18441 in Bethel, New York to Eleazer and Martha J Morgans. In his life he was a newspaper publisher, job printer, inventor and founding partner of the wood type companies Young & Morgans and later Morgans & Wilcox Mfg Co.
William was the eldest of three children, and grew up in Youngsville, New York. His obituary in the Monticello Republican Watchman described him as an “exceedingly bright pupil, cleverest fellow in the world, a good student and a genius” who learned to speak and write German and French fluently under a tutor retained by his parents. William was also mechanically minded and conducted a successful watch repair business at age 152. On August 21, 1862, at age 18 he enlisted in the Union Army to serve a three year term. Morgans mustered in as sergeant, Company F, 143 Regiment, New York Volunteers on October 8, 1862; was promoted to first sergeant, July 23, 1864; and then sergeant-major, September 1, 18643. Morgans was also the bearer of the colors through the siege of Atlanta. During the Battle of Bentonville, North Carolina, in March, 1865, “the regiment had been ordered to advance when word came that the men were out of ammunition. The troops were separated from their supply wagons by an open field that was subject to fierce enemy fire. Bullets filled the air, and it seemed certain death to attempt to cross the field. Undaunted Morgans and [Adjutant] Hammond volunteered to make the dash. 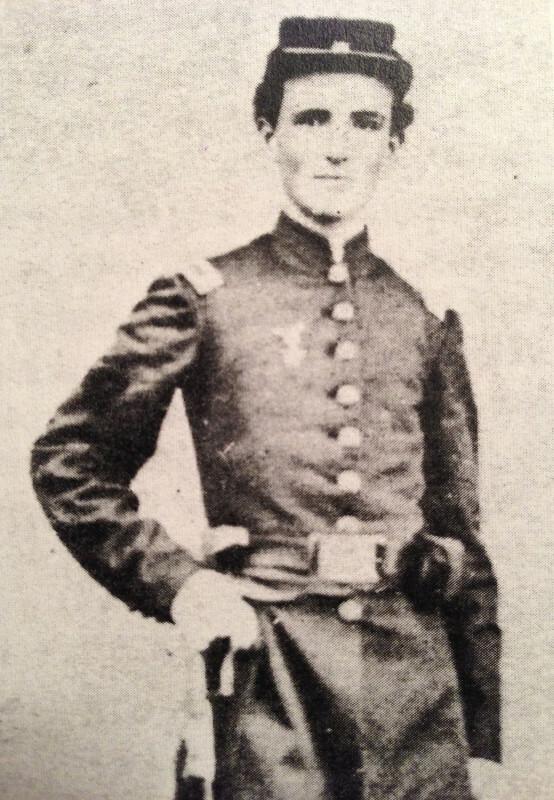 With bullets whizzing around their heads, they crossed the field to the supply wagon, and returned, each carrying 156-pound box of cartridges.”4 This act of bravery led to Morgans being promoted to first lieutenant on April 15, 1865, mustered into Company G, April 26, 1865, and participated in the Grand Review in Washington, DC in May 1865, where he was “showered with bouquets.” He mustered out with company on July 20, 1865, near Alexandria, Virginia. Morgans returned home to Youngsville, where he married Sophia Elizabeth Inderlied sometime in 1866. In 1868 he founded The Record and then in 1870 sold the newspaper to Arthur Childs. Shortly after this the family—which now included daughter Maud, born in 1867, and son Floyd, born in 1869—moved 10 miles east to Liberty, New York, where he founded the Liberty Register5. In 1874 Issac Jelliff, Esq, joined the paper to manage the editorial, and he “…Billy Morgans—the boss typo of the County…”6 focused directly on managing the day-to-day printing activity for the paper as well as conduct its business as a jobbing printer. 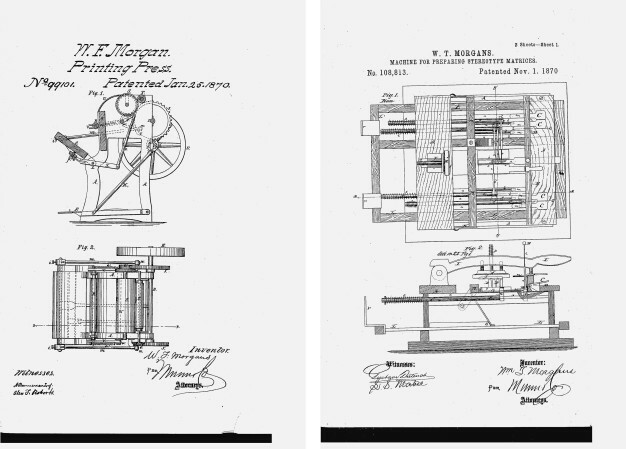 Morgans excelled as a printer and with strong mechanical proclivities set to improving the machinery. He was awarded two patents in 1870: US Patent 991017 a self-inking card-and-billhead treadle press on a simple clamshell principle, and US Patent 1088138 for setting type and “instantly and simultaneously redistributing all the characters to their proper places.”9 Sometime before 1876 he also perfected machinery for cutting wood type. Cutting type in the new plant commenced on Saturday, September 4, 1880. On Tuesday, April 11, 1882 Morgans contracted pneumonia and by Friday of that week, succumbed to his illness. 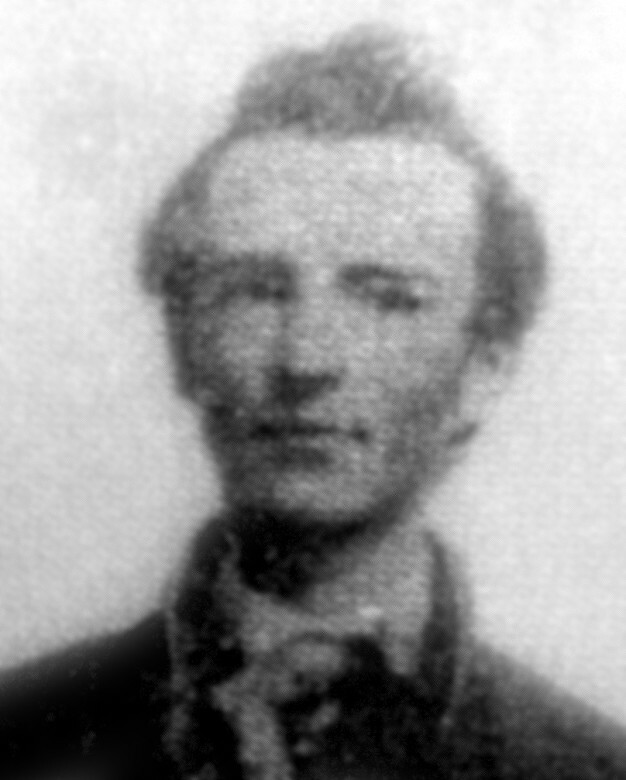 William was survived by his widow Sophia and children Maud, Floyd, Lillian, Leslie and William Jr (three of their children, May Mary, Bertha and Claire, each died earlier in 1880). Sophia assumed his interest in the company until the wood type manufactory was purchased by The Hamilton Mfg Co of Two Rivers, Wisconsin, on Dec 15, 1897. The equipment manufacturing portion of the company retained the name Morgans & Wilcox Mfg Co and continued to produce printer’s furniture well into the 20th century. The company was headed by William’s son Floyd W Morgans (1869–1938) until 1938 and then by his grandson Warner Knight Morgans (1897–1967) until it ceased operations sometime between 1949 and 1950. 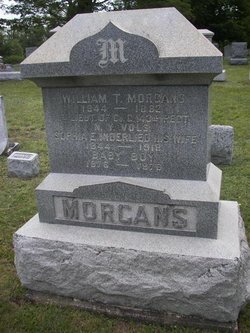 William T Morgans is interred with his family in the Morgans’ plot at Liberty Cemetery, Sullivan County, New York.